Leonard John Patterson of Freeland, Oxfordshire joined the RAFVR in January 1938 as an Airman u/t Pilot. Called up on 1st September 1939, he completed his training at 2 FTS, converted to Hurricanes at an OTU and then joined 501 Squadron at Kenley on 2nd September 1940. He was shot down and killed by Me109’s east of Hastings on 28th November 1940. His Hurricane, P5189, is believed to have crashed into the sea. Patterson was 23. 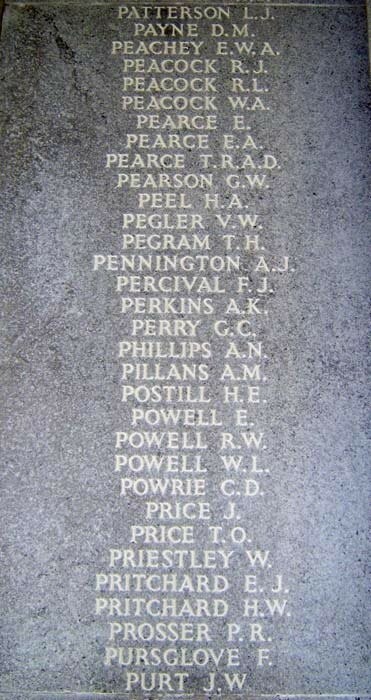 His name is on the Runnymede Memorial, Panel 18.